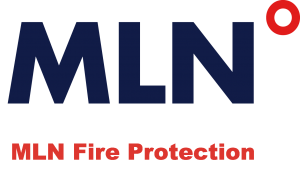 At MLN Fire Protection, we are proud of the fact that there is not a single fire sprinkler system that we have not yet been able to install, operate, inspect, maintain or repair. We believe that our team is one of the most experienced, qualified and respected teams of fire system experts in the state of Texas, consistently improving upon our skills to remain so. With a focus that is always keenly aimed at providing unbeatable customer care, we provide comprehensive fire sprinkler services for all types and brands of industrial, commercial, multi-family residential, medical, retail, and educational facilities. With a focus that is always keenly aimed at providing unbeatable customer care, we provide comprehensive services for all types and brands of industrial, commercial, and residential-grade sprinkler systems. Understanding the design and layout of any system allows us to quickly get your system up and running, giving each client the peace of mind that only comes from knowing that their employees and assets are completely protected from the risk of fire. Wet-pipe sprinkler systems – These sprinklers constantly have water in them, ready for quick action as needed. This is the most common type of fire sprinkler system in use in Texas today. Dry-pipe sprinkler systems – With a minute delay built in, dry pipe sprinklers use pressurized air to fill the pipes before the water is discharged. This system is ideal in buildings where low temperatures are common, reducing the risk of freezing sprinkler pipes. Pre-action systems – Much like dry-pipe sprinklers, pre-action fire systems are filled with air, only letting water pass through when a smoke or fire alarm is engaged. These systems are good for use in places where books or sensitive electronic equipment can suffer damage from water-drenching systems, helping to avoid costly repairs or replacements if no actual fire is detected. Deluge systems – Used more often in industrial buildings and parks, deluge systems allow users to open nozzles on water tanks to deluge an area with water, should a fire start in an area where flammable liquids are prevalent. Discover all about fire sprinkler systems and what is right for your business type by calling for a full consultation. Our fire protection specialists will help guide you towards the best system for you.